Peacock Alley Montauk Matelasse bedding (coverlets, shams, pillows, tailored bedskirts) is now available in linen color in addition to pearl and white colors. 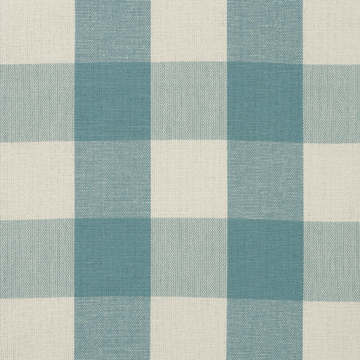 This new checkered fabric pattern is available in Seaglass and Taupe colors. It is available in shams, decorative pillows and bed scarfs. 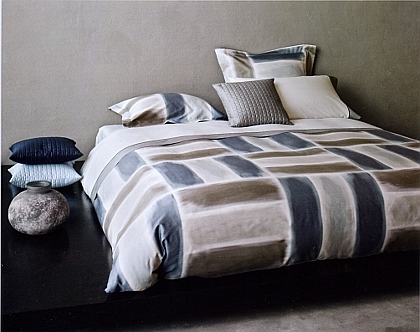 It offers an excellent contrasting option that may be used with other bedding ensembles. Peacock Alley All Season Blanket is now available in Linen color. 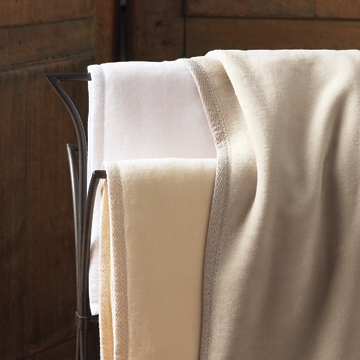 This blanket is 100% Egyptian cotton and is free of dyes and bleaches. Signoria Gouache contemporary bedding echos the fine and expressive strokes of a watercolor canvas. 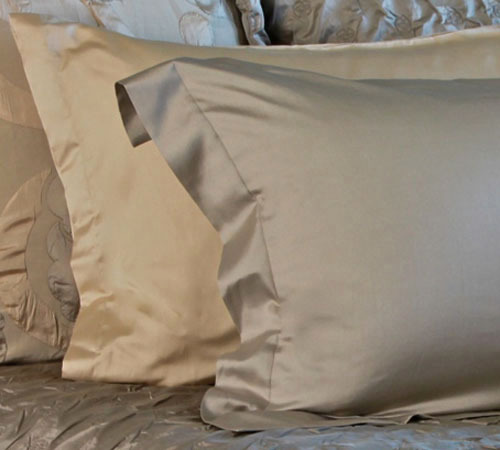 This 300 thread count, Egyptian cotton collection is available in two colorways: Taupe and Blue Grey. 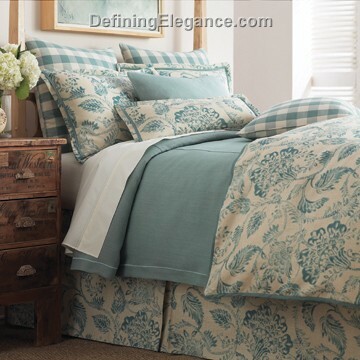 The collection includes a sheet set, pillowcases, duvet cover, shams, and a throw. 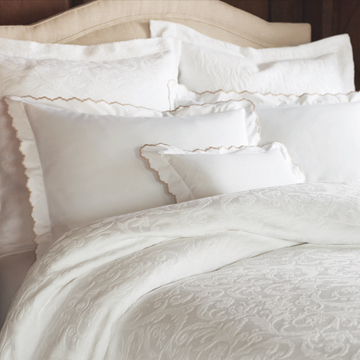 Classically elegant with a striking damask scroll pattern, the Peacock Alley Francesca bedding has a neutral color palate. Designed for today’s busy lifestyle, this easy care bedding gives you the look you desire without the need of extensive care. Peacock Alley has added a new matelasse coverlet, shams, and decorative pillow to its bedding line. Isadora Matelasse, which is woven to create a raised surface design, provides wonderful texture and interesting detail. 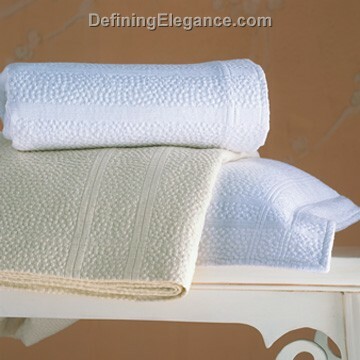 This collection of 100% cotton with a chenille damask floral design is imported from Portugal, will coordinate with many of Peacock Alley’s bedding ensembles, and is machine washable. Candido Genoa organic cotton bedding features an Italian pattern reflective of the rich history of the famous Italian port city. Made with a yarn dyed jacquard weave in 100% Organic Cotton, the collection is from The Purists line by SDH and boasts 616 threads per square inch. 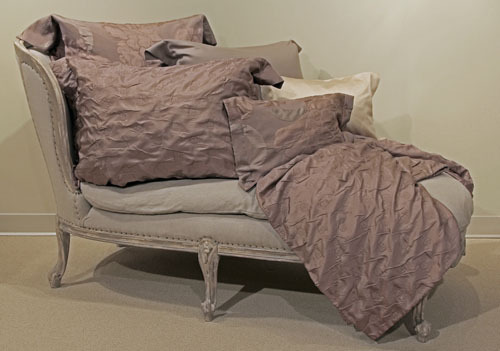 If you love organic fabrics, this is the ultimate in finely crafted European luxury organic bedding. Reminiscent of the golden age of Hollywood, this beautiful collection of SDH Pouf silk coverlets and shams has incredible texture and style. 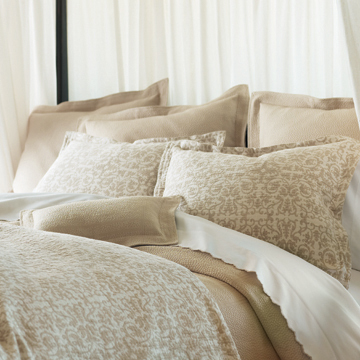 Coordinate with SDH Platino bedding and SDH Sorrento Sateen to create a sophisticated and chic ensemble. We think it’s perfect for snuggling up to watch your favorite classic movie. Available in 3 colors: Rosewood, Chinchilla, and Titanium. 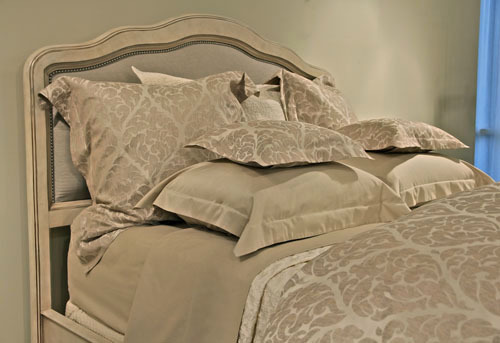 Sorrento Sateen by SDH is an exquisite, all-natural bedding line in a sumptuous blend of silk and Egyptian cotton. Available in Duvets, Top Sheets, Fitted Sheets, Cases & Bedskirts, in three color choices: Rosewood, Chinchilla, and Titanium. 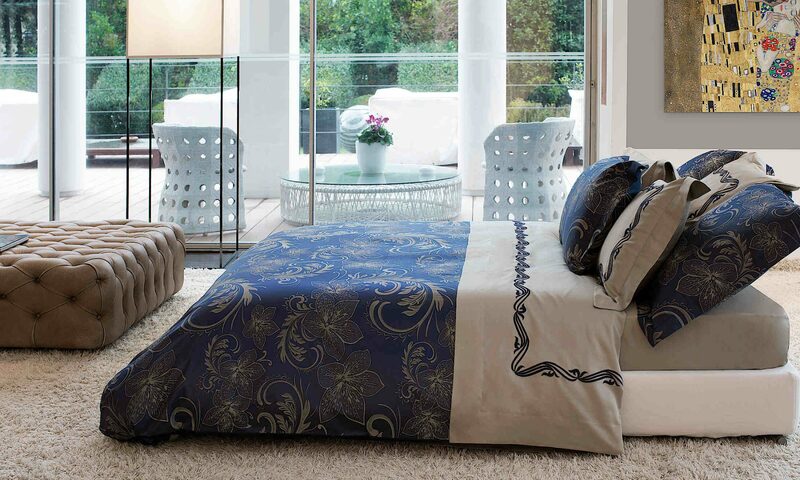 Sorrento Sateen coordinates with SDH Platino bedding and SDH Pouf covers and shams.